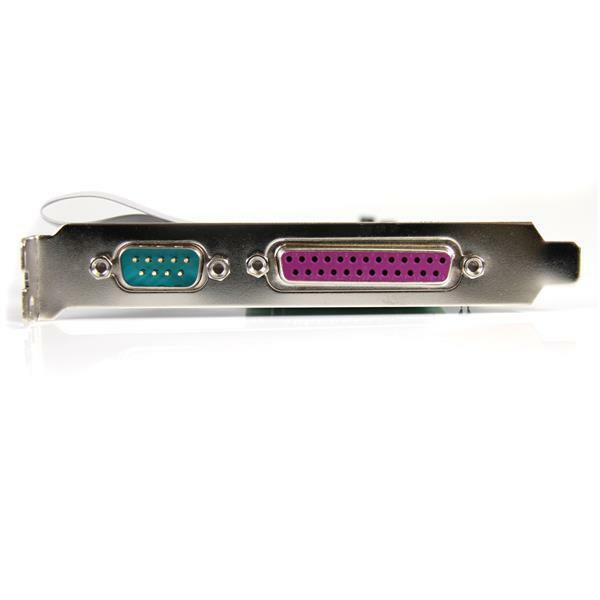 The PCI2S1P PCI Serial/Parallel Combo Card turns a PCI slot into two external 16C550 serial ports and one external EPP/ECP parallel port - an all-in-one solution that gives you both parallel and serial connections while taking up only one PCI slot. 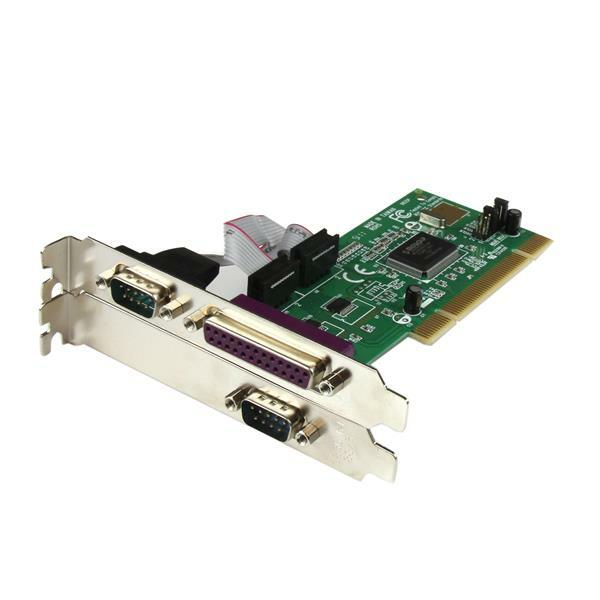 The serial/parallel combo card is PCI plug and play ready and supports IRQ sharing for fast, simple installation. 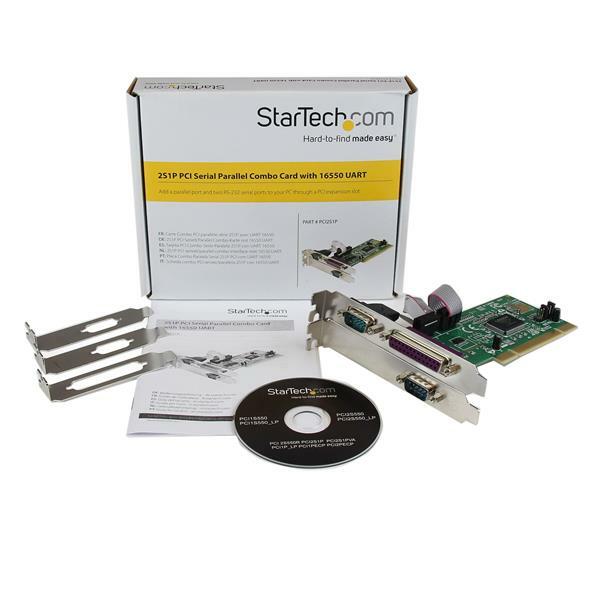 The combo card is supported in virtually any Microsoft Windows operating environment (Windows® 7, Server 2008 R2, Vista, XP, ME, 2000, 98, 95 and NT4), and is backed by a StarTech.com Lifetime Warranty and free lifetime technical support. Maximum Data Transfer Rate Up to 1.5 Mbits/sec.